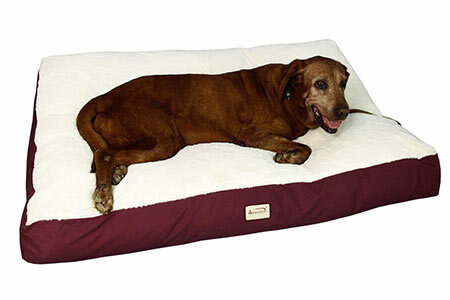 Big dog beds can come with big price tags, and you need to be confident that yours will last. We have collected together some of our favorites for comfort and quality. Scroll down for our comments and reviews. 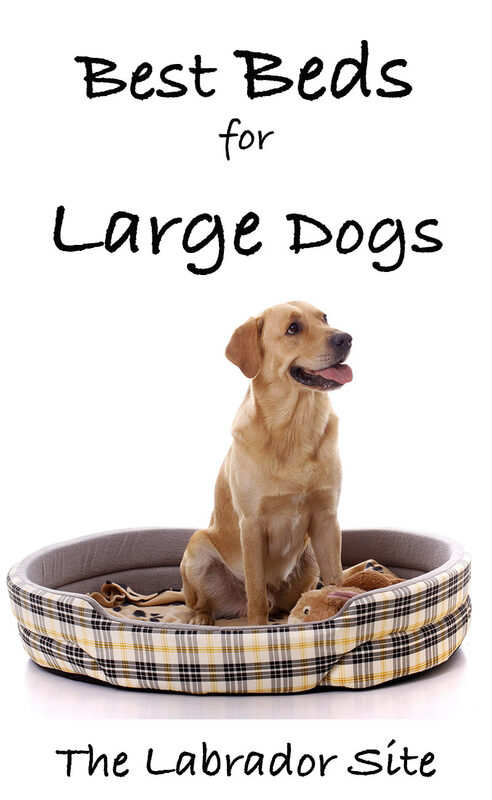 Big Barker is a very popular range of dog beds aimed at larger dogs. Made from memory foam they are extremely comfortable. We especially like the ‘head rest’ edition as so many Labs like to sleep with their head resting on something. 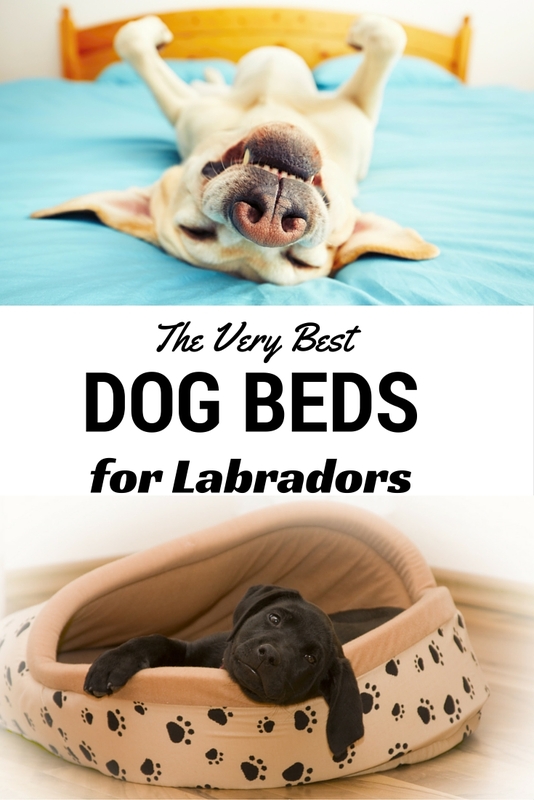 This large bed is big enough for most Labs but also comes in extra large and giant! 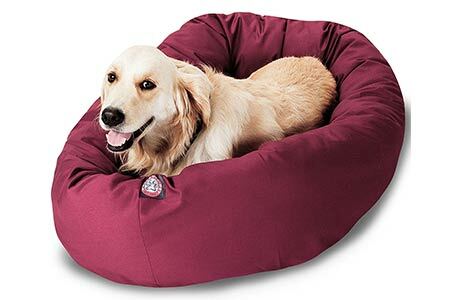 You can buy waterproof liners and replacement covers which can be important if you have a senior dog. 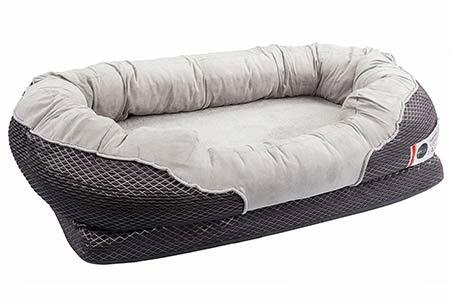 The Kuranda bed has some great features – not only is it almost impossible for the dog to chew up the strong fabric surface, it’s also weatherproof and very easy to clean. While it doesn’t look as comfy as a padded cushion, the Kuranda is actually very supportive and comfortable. We love this burgundy color option. 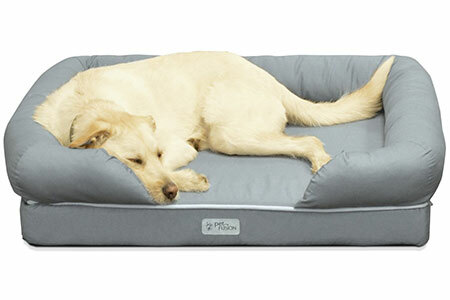 The PetFusion bed has a solid 4 inch memory foam base with the added comfort of lovely padded bolsters around the sides. 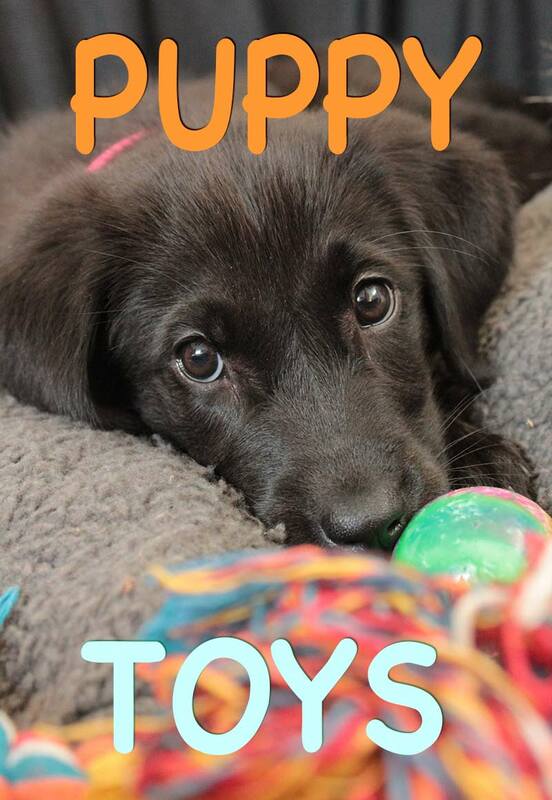 It comes in a nice chocolate brown too, great for hiding those Chocolate Lab hairs! The covers are washable of course, and you can buy replacements when they get worn. 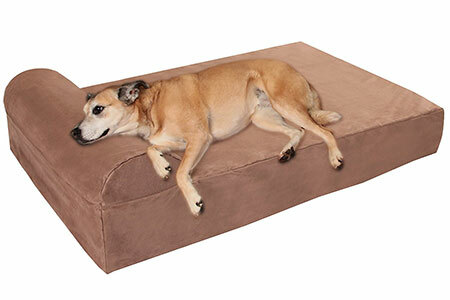 If you buy a Barksbar bed you’ll want to climb in there with the dog! It is every bit as cozy as it looks. 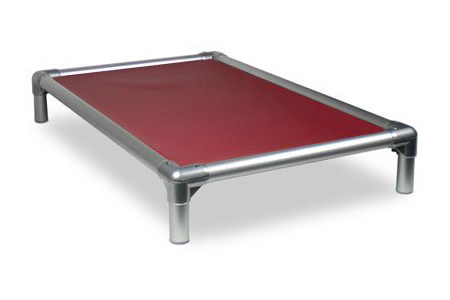 And for an orthopedic bed, we think it looks pretty good. 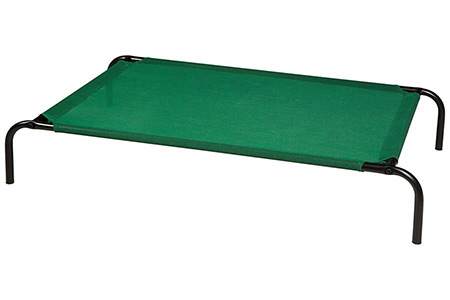 Extra features are machine washable covers and a non-slip bottom. The cover on the Milliard bed is also removable, washable and is waterproof too. 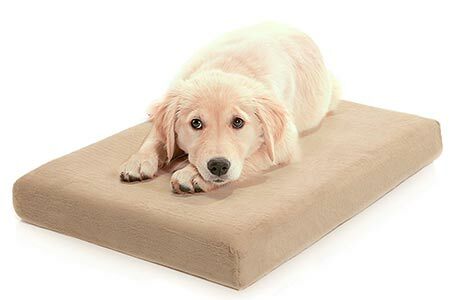 Snuggliness isn’t everything of course, and if your dog is a ‘destroyer of beds’ then an elevated bed with a strong fabric stretched across the surface might work for you. 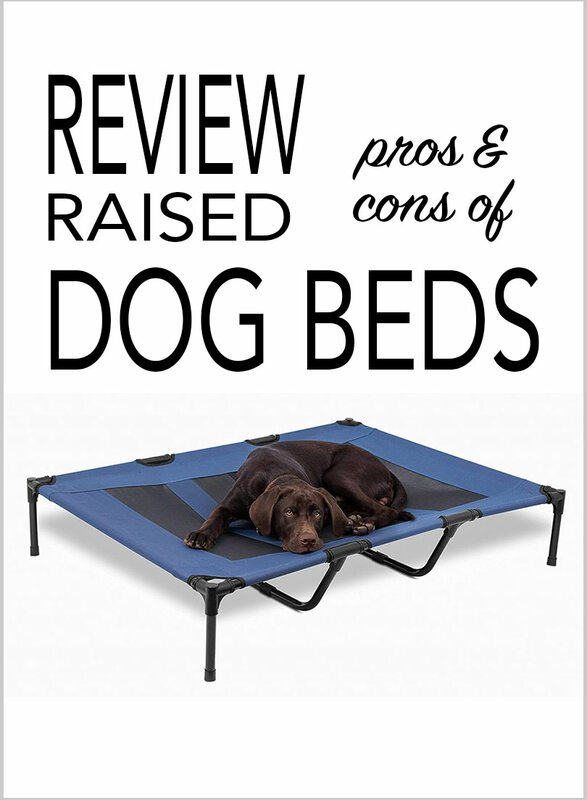 Try the Amazon Basics Cooling Bed – we love it and so do our dogs. It keeps your dog cool in warm weather too. And for the pet that has everything? 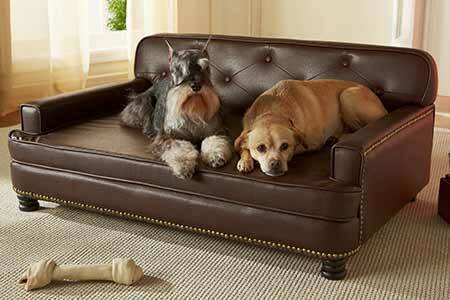 There is always the Enchanted Home Pet Library Sofa! The last word in elegance.